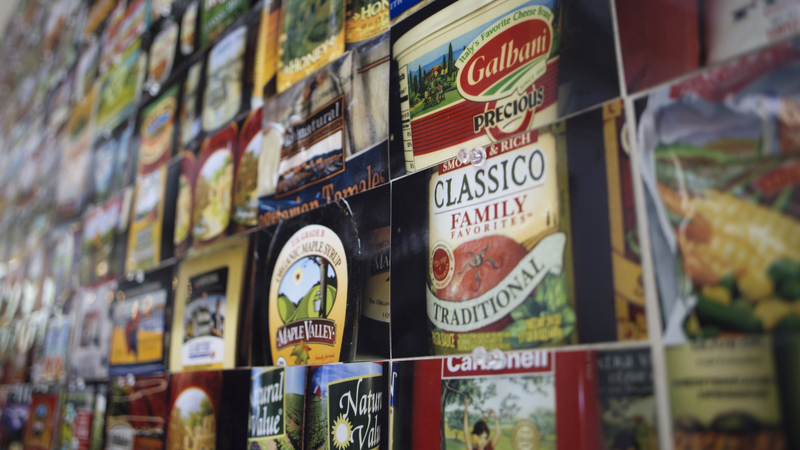 Labelscapes is a collection and study of food packaging that depicts pastoral landscapes, farms or rural villages, or farm workers or other persons involved in food production or distribution. 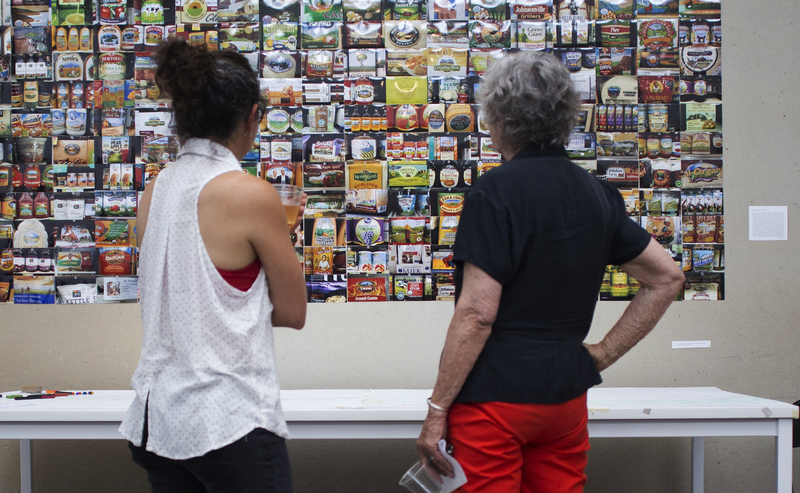 The project started during our June 2015 residency at the Santa Fe Art Institute, and although most of our images were collected then, identical imagery can be found on shelves across the country, and as far back in time as food has been packaged. Many of these images are grossly simplified or idealized renderings of agrarian life, and do not reflect the real conditions of production—-and in some cases, the actual content—-of the food inside the packaging. As Anna Kealey points out in “Unpacking the Pastoral Food Package: Myth Making in Graphic Design”: “Food brand strategist Tess Wicksteed believes ‘the role of food packaging is to make the food look real and fresh.’ But the essential dilemma is that a food product even having a package in the first place is at odds with the idea of freshness.” And the association with traditional agriculture is not only misleading, but can also promote a nostalgia for practices that may be harmful to populations already negatively impacted by inequitable food systems. The imagery of food packaging may seem a trivial subject, but we believe it is worthy of attention. In some parts of the world, these images may be seen more often than the “real” landscapes they are supposed to represent. We are undertaking a study of this food packaging design, using the term “labelscaping” to denote both the use of pastoral imagery as a subtle form of greenwashing and the larger practice of depicting physical landscapes, and the social systems they imply, in product packing materials.